10 Hairy Legs at New York Live Arts, June 11 – 14, 2015…. Well, let’s be honest! 10 Hairy Legs is rather unusual name for a dance company…The visual imagery does not really lend itself to the known aesthetic of a danseur noble. Well, wake up! That was yesterday or perhaps even the day before yesterday. 10 Hairy Legs is the brain child of Randy James. It is a contemporary dance company composed of just men…and actually the dancers legs are not that hairy, well a couple are but they shall remain nameless. Mr. James has selected an eclectic repertory by some of the most noted of choreographers working today, Steven Petronio, Sean Curran, David Parker, Miguel Vignoulle and the list goes on. The evening opened with an excerpt from Christopher Williams’ The Portuguese Suite, a duet performed by Tyner Dumortier and Kyle Marshall. This work was a rather pleasant surprise. The music was a traditional Portuguese fado song recorded by the legendary Portuguese singer Amália Rodrigues, Ginja Sem Caroço. Mr. Dumortier moved with such longing and beauty, his body seldom still, one moment he was turning with his arms in angular shapes, then into stumbling steps as if intoxicated, and then into the bravado shapes of the tango. Like I stated previously, nothing about this piece should have worked but the combination of Mr. Williams’ choreography, the fado by Ms. Rodrigues combined with the performances of both Mr. Dumortier and Mr. Marshall, created something of genius. If you have a chance, you really want to see this duet! At the beginning of David Parker’s Slapstuck, Derek Crescenti wanders onstage as if he has not a care in the world. He starts to sort of tap dance (with no shoes on) and then Will Tomaskovic walks onto the stage. They amicably shake hands. Mr. Crescenti then continues has aimless tap dancing (with no shoes on). Mr. Tomaskovic runs and leaps on to Mr. Crescenti’s back sideways, and somehow does not fall, but instead seems to have become caught. It is obvious that he is not using his hands or legs to support himself and just seems magically stuck to Mr. Tomaskovic’s back. Mr. Tomaskovic wanders around in circles and finally is able to get Mr. Crescenti off his back. As this occurs we hear a weird ripping noise…Then the fun begins, the dancers are wearing Velcro on most of their bodies. The ripping noise was the Velcro tearing away from the other dancer’s Velcro. I laughed so hard my sides ached…loved it! As we hear the opening sounds of Rufus Wainwright’s Oh What a World and as the stage is slowly being illuminated, seen are Alex Beigelson and Nickolas Sciscione standing together both facing the same direction. They are wearing intriguing costumes originally designed Tara Subkoff/Imitation of Christ and realized for this production by Cindy Capraro. 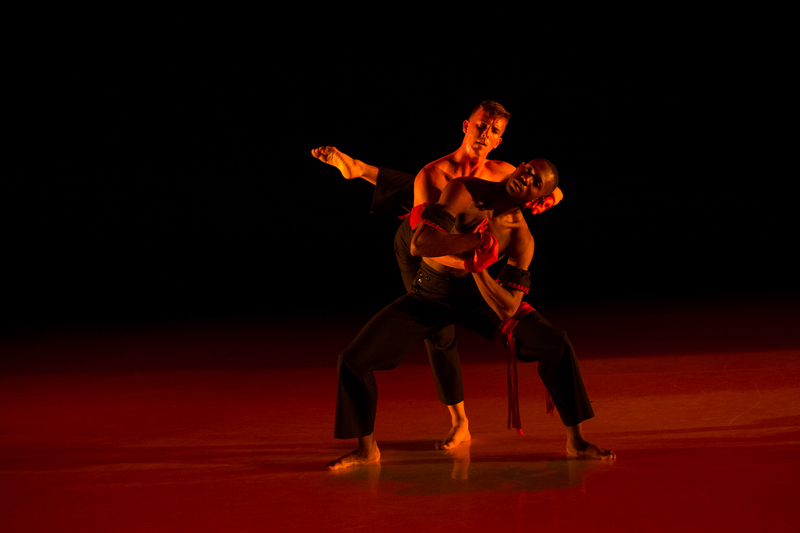 The costumes are red briefs with half the torso covered in a black long sleeved garment while the other side of the torso is bare but with three small straps use as support. 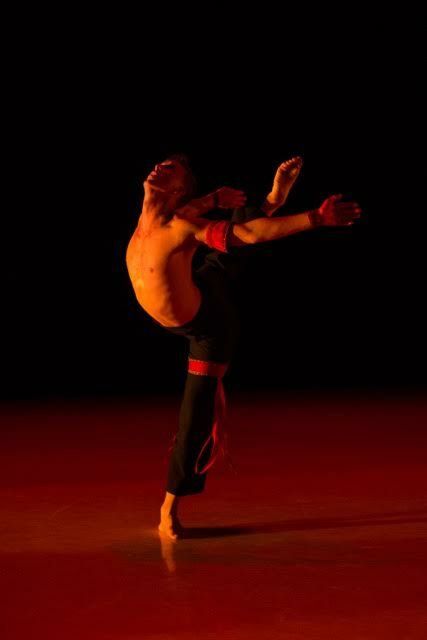 A singular black strap is also of found on one leg of each dancer just below the red briefs. 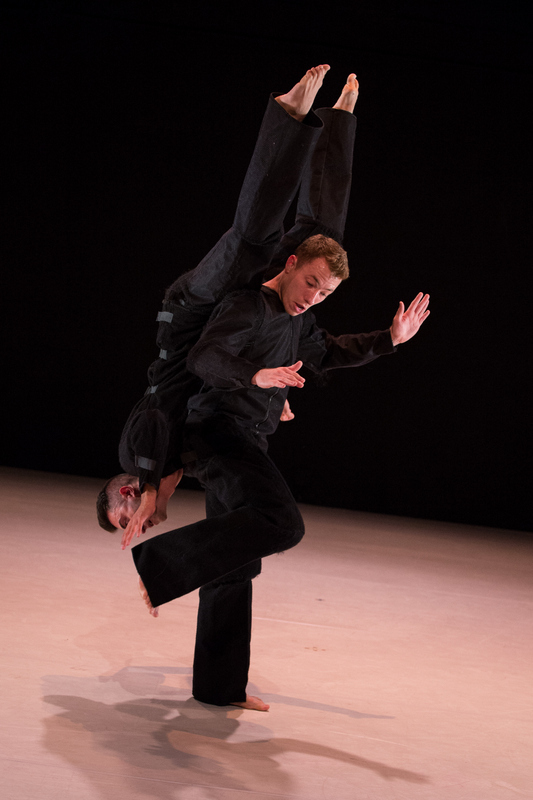 This is the beginning of Stephen Petronio’s Bud, a deliciously relaxed duet that is somewhat sarcastic as well as a little tongue-in-cheek. Mr. Biegelson begins to manipulate Mr. Sciscione’s body as if he were a puppet or perhaps a rag doll. There is little to no expression on either dancers’ face. 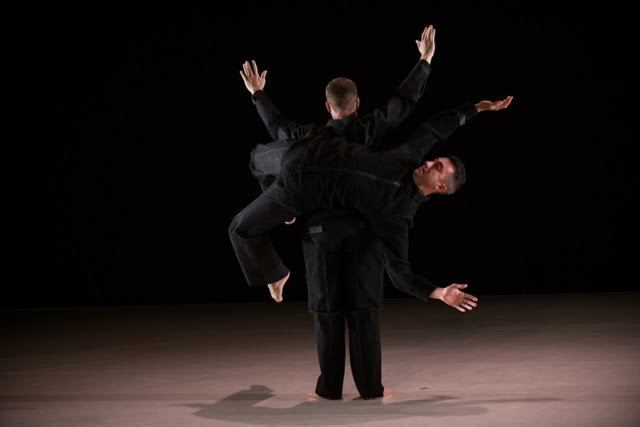 June 11 – 14, 2015 at New York Live Arts. 73 Fullerton Ave, Montclair, NJ. 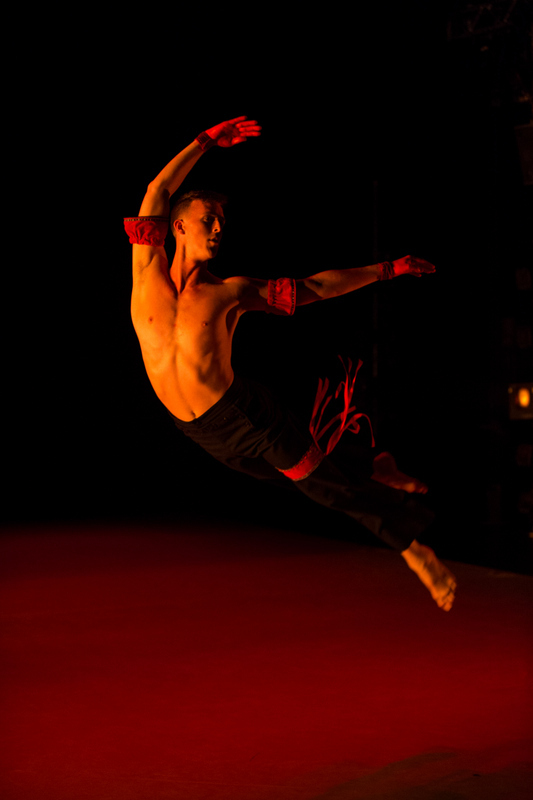 « Martha Graham School Scholarship Bash + Benefit | Oct. 7th, 2015….